We have been very impressed with the level of service they offer from the time we began working with them. WebResults.ie put a lot of focus into understanding our business needs and who our customers are before beginning any work. This also helped us clarify our business strategy and ensure we were setting to achieve what was going to bring the most revenue for the business. The talked us through the various domain and hosting options to ensure we made the right decisions each step of the way. We are very pleased with the look and feel of the website and how it is all laid out. We are happy that the website is converting visitors into leads. WebResults.ie ensured there was emphasis on calls to action and getting the visitors to click through and sign up for our programs. 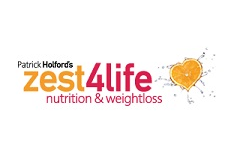 Zest4Life is a local service and WebResults.ie ensured that the site was set up to drive traffic from the geographical searches that are being carried out that are relevant to our business. WebReuslts.ie also highlighted the importance of addressing the different conditions which trigger the need for our service, to drive traffic from the search engines for these types of searches. We receive weekly reporting on our websites performance which outlines the levels of traffic, they type of traffic, where they are located, where they click to find our site. This information is really helpful for us to understand our market on the web and to ensure we are improving it. I would have no hesitation in recommending webresults.ie to anyone who wants their website to really work for them.